With the development of society and the continuous progress of science and technology, people have higher and higher requirements for the sound environment in which they live, study and work, and more and more attention has been paid to the impact and harm of noise on people. At present, the main method to reduce noise is to control it by using sound absorption or sound insulation materials. A wood plastic composite wall panel as new material is widely concerned by people, and the products also meet the modern people’s demand for the sound-absorbing board. 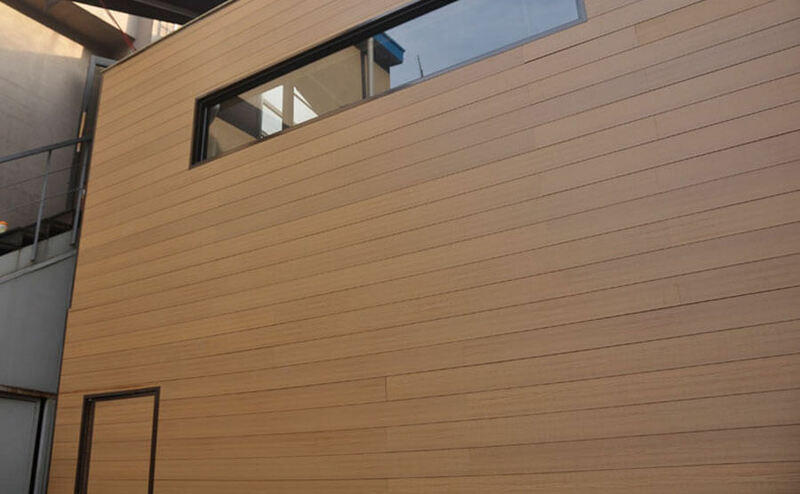 WPC wall panel on its own material properties, and does not have excellent sound absorption performance, but how to enhance the wood plastic products sound absorption performance, can refer to wood sound absorption materials and other types of sound absorption materials composite. The research direction of wood plastic sound-absorbing materials is to enhance the sound-absorbing performance of wood plastic composite wall panel materials to the greatest extent. According to the characteristics and demand for outdoor wall panel products, it will be the future trend to design and manufacture wood plastic sound-absorbing wall panel materials. Has acoustic properties for a variety of wood composite materials research has shown that the sound absorption, decoration, environmental protection, practical, there are certain deficiencies in a specific environment, such as the porosity and the composite materials are better acoustic noise reduction features, its application range is limited by a mechanical strength on the physical properties. 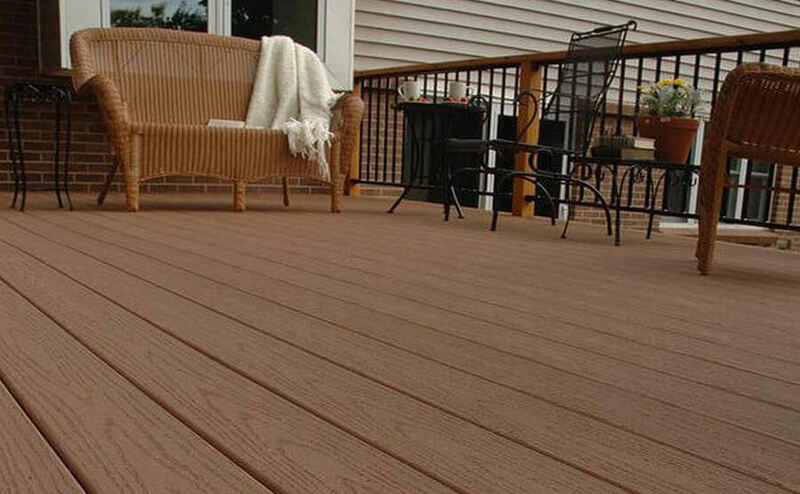 As a new type of environmental protection material, the wood plastic composite material has been gradually paid attention to in terms of sound absorption performance. The excellent characteristics and application range of wood plastic composite material can meet the requirements of sound absorption and noise reduction in a specific space. Compared with the wood plastic composite sound absorption material, the application range of wood plastic composite sound absorption material should be expanded. First of all, in terms of sound absorption materials, make full use of porous sound absorption mechanism, improve the raw material ratio of wood plastic composite wall panel material, so that it can achieve the interconnection of internal pores and improve its sound absorption performance. 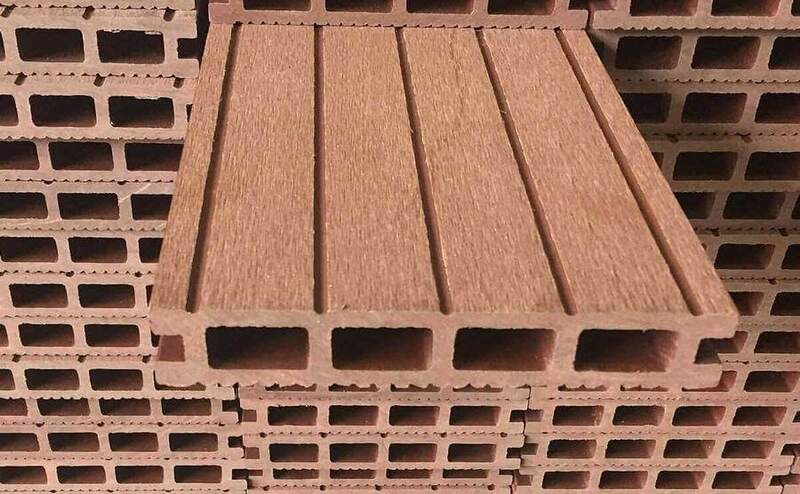 At the same time, the structural design of the wood plastic composite wall panel can be carried out by imitating the preparation method of the common wood perforated sound-absorbing board in the market. The main wood plastic composite wall panel material as the substrate, in its surface and back to open the hole, so as to get the resonant sound-absorbing material, the shape of the surface opening can be round, strip, micro hole shape, etc., by adjusting the size of the aperture, density and shape to adjust the wood plastic composite sound-absorbing board sound-absorbing performance. Back grooving method is mainly in the back of the wood plastic plate for grooving, grooving types are mainly arc groove, trapezoidal groove, square groove and other types. Opening method can broaden the absorption of wood plastic composites audio segments and improve the sound absorption performance of high-frequency band, enhancing wood plastic sheet of decorative and sound absorption, but the performance of the product and process improvement and improve, hole groove on the structure of research and development, make its one-time moulding, avoid multiple processing, has the best sound absorption performance. Secondly, outdoor wall panel material as a system of new materials, the most widely used as outdoor wall panel products. 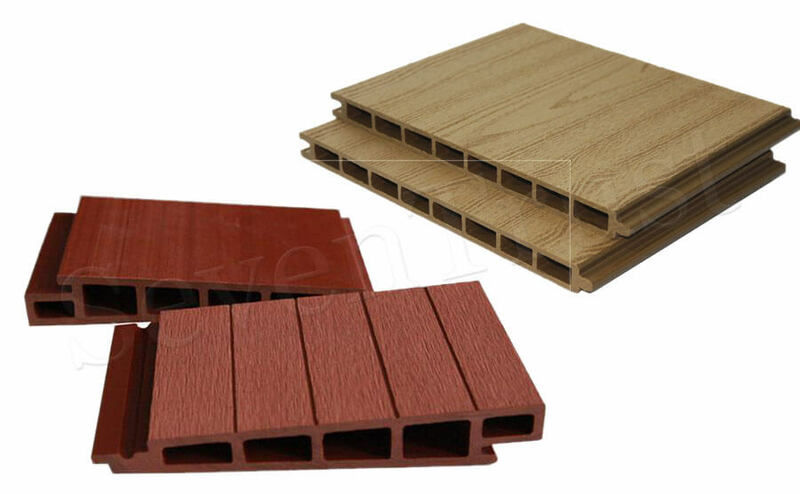 Through the improvement of new technology, research and development of new technology and application of new structure for wood plastic composite wall panel sound absorbing material, more wood plastic composite products suitable for indoor and outdoor use are developed.